Incredible new blood test for PTSD is in the works. After a decade long research project, led by a team of scientists at Indiana University School of Medicine investigating blood-based genetic biomarkers, a newly published study revealed the development of a blood test that can identify patients most at risk for developing PTSD and possibly even predict future psychiatric hospitalizations. The research focused on correlating objective blood-based biomarkers with subjective sensations of psychological stress. The team ultimately uncovered 285 specific blood biomarkers that correlated with the severity of the subjects PTSD. The blood test, if successfully implemented could offer benefits to both patients and doctors. Acute PTSD severity could be measured allowing for clear and quantifiable insights into whether a patient is improving through a given treatment. The test could also allow for more precise treatments tailored to the individual patient. The researchers pointed out specific gene expression signatures that could indicate the specific drug targets that would be most effective for the patient. Niculescu and his research team may be several years away from rolling these blood tests out into clinical settings but the pathway is certainly promising. The researchers are currently seeking more funding and institutional collaborations to better develop this kind of comprehensive blood-based biomarker research. 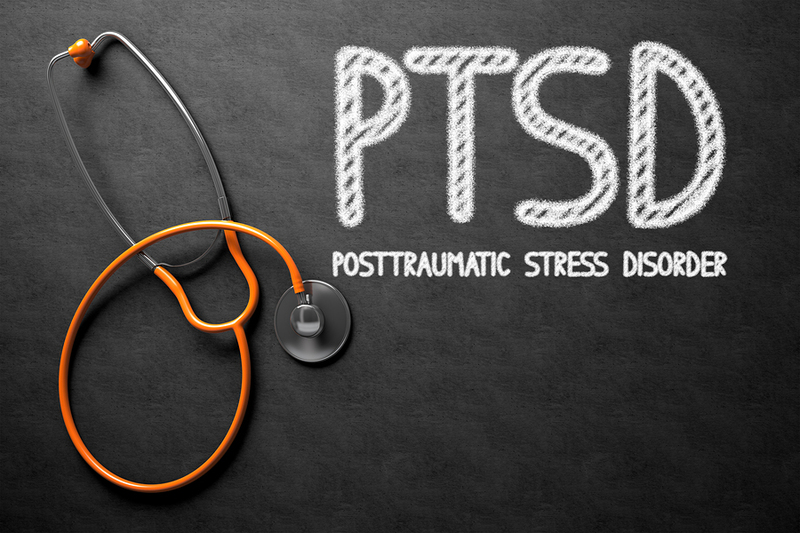 PTSD can develop in response to traumatic or life-threatening events, causing anxiety, fear and nightmares. PTSD is the result of powerful memories of extreme fear response. We have natural treatments and safe effective ozone therapies for the treatment of PTSD. Treatment needs to be individualized for veterans who have PTSD. Besides service dogs, other effective treatments are cognitive therapy, group therapy, oxytocin hormonal treatment, I.V. ozone with German biologics for traumatic brain injuries and Good Gut products that change the intestinal microbiome bacterium and neurotransmitter production. It has demonstrated positive results in Vascular disease, Cardiovascular disease, Neurodegeneration diseases, Type II diabetes, skin conditions, Lyme, Cancers, Autoimmune conditions, Environmental Detoxification, Chronic Inflammation, Chronic Infections, Mitochondrial Repair, Age-Related Macular Degeneration, Musculoskeletal conditions, Immune support and so on. I.V. Ozone improves oxygen delivery to every cell. It also stimulates all detoxification pathways, anti-oxidants and healthy cell proliferation. It works to eliminate pathogens of bacterial, viral and fungal nature that contribute to chronic disease patterns.